Rising above a shallow valley in Picardy like a stone Goliath’s head is the cathedral of Beauvais. From the east side of the vessel it looks like any other hulking Gothic church; take a few steps around, however, and it abruptly ends at the transept. It’s like a jumbo guillotine descended from the skies, severed the body, and left the head behind. What happened to Beauvais is not an isolated case in the vertiginous pursuit of sheer height during the late Middle Ages—but it is by far the most remarkable. 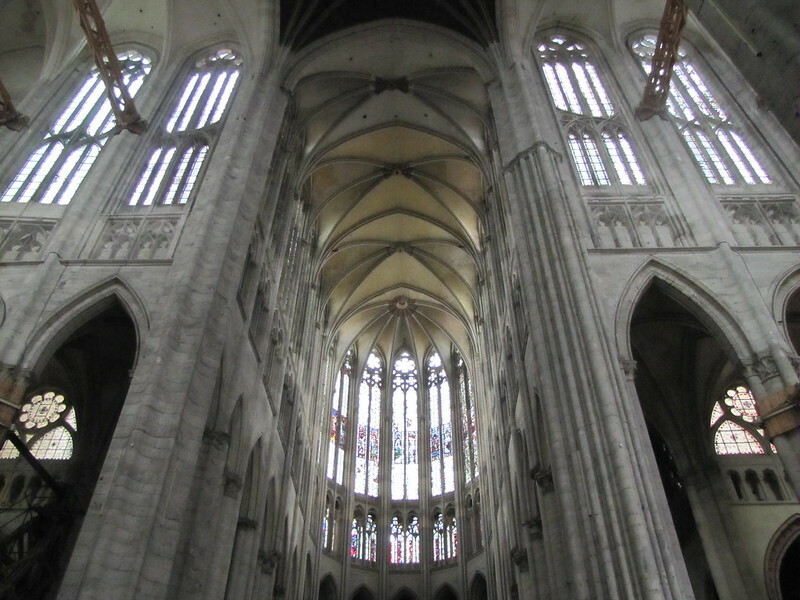 The architects who designed and built the cathedrals of Amiens, Paris, Chartres, and Beauvais did so with blueprints carved into soft plaster and expertise that was passed down from master to apprentice and codified in the memory. It’s a marvel that so many of these great monuments stand after hundreds of years and many wars fought—a testament to the power of faith, the brilliance of the architects, and most notoriously, the ego of the bishops or lords who spurred these lofty dreams of height ever further into the sky. Many times the main impetus behind the construction of a new, taller church nave was as simple and petty as keeping up with the Joneses. 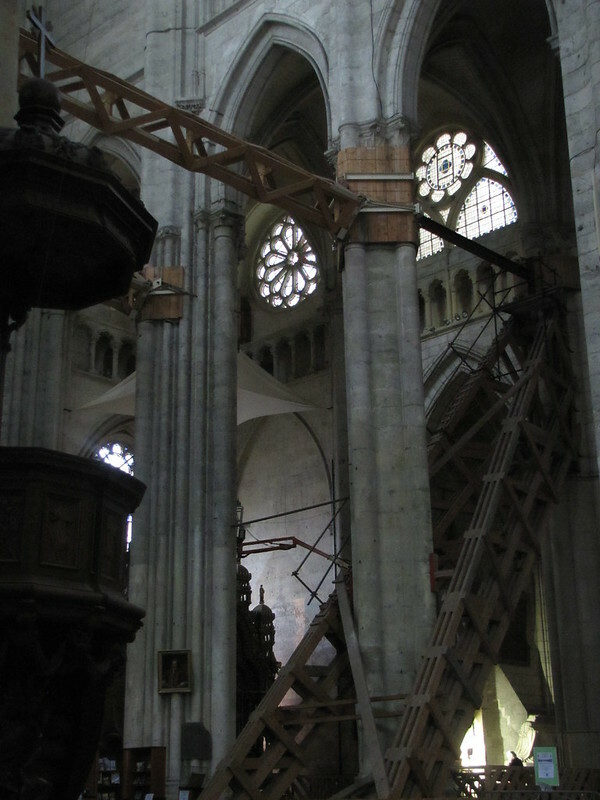 A bishop paying a visit to the diocese next door would see the new church construction and become envious of the webbing of scaffolding, the army of stonemasons, and the vaults that appeared more than a hundred feet above his head. And so he would return to his own parish and in a fit of envy—or as he would announce to his parishioners and subordinates, a vision from God or the local saint—declare that a new, taller church should take the place of the old one. 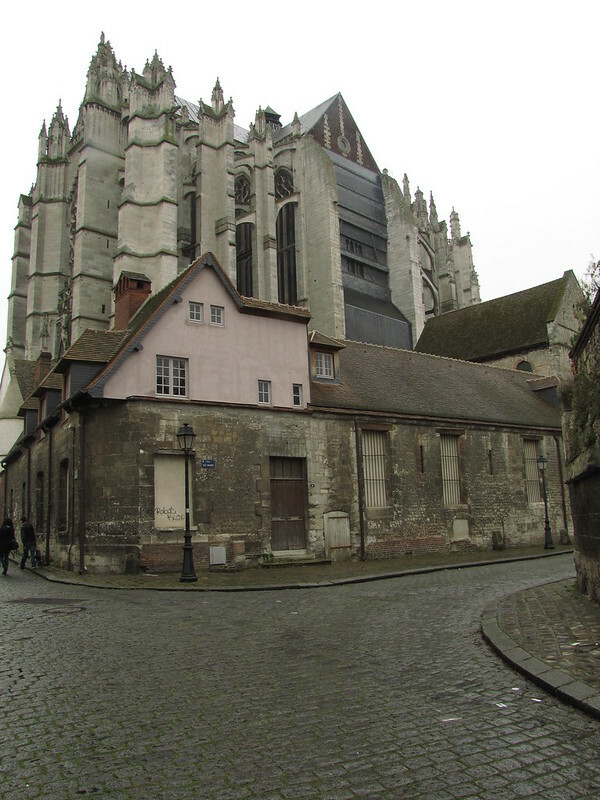 Chronologically speaking, Beauvais was late to the Gothic building frenzy. 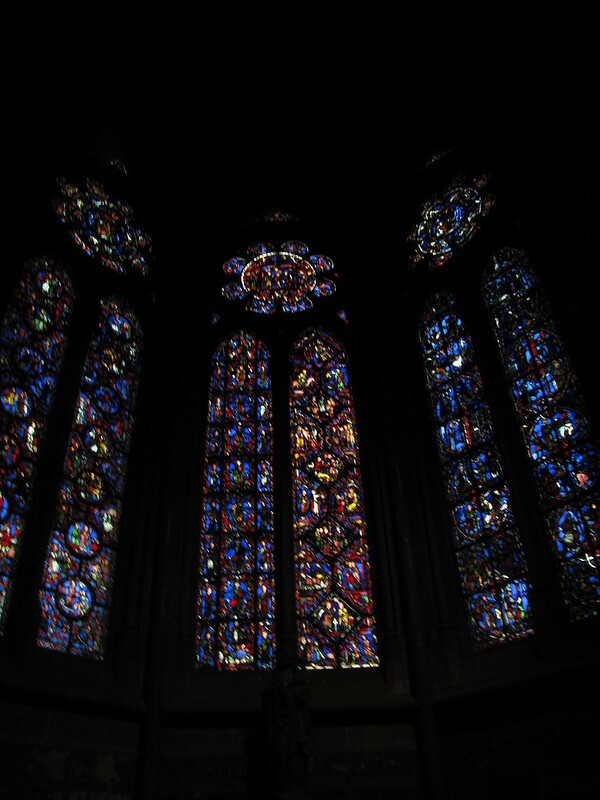 In the Ile-de-France and Picardy, towering vessels of immense height and glimmering stained glass had already gone up or were being built in Paris, Amiens, Reims, Chartres, Noyon, Laon, Senlis, and so forth. In the year 1225, count bishop Milo de Nanteuil decided it was time for his diocese to have a fancy, gleaming cathedral just like the ones in every other surrounding parish. And so they built, and higher than ever before. 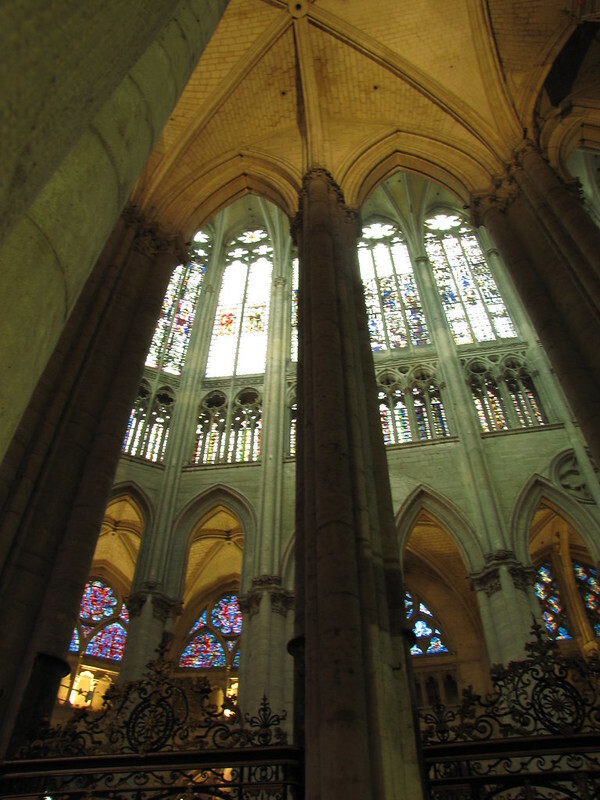 The immense choir took nearly fifty years to build, but when it was dedicated in 1272 it stood a dizzying 48 m (157 ft) from floor to ceiling. This height was unprecedented in any other construction in Europe, but it did not last long. 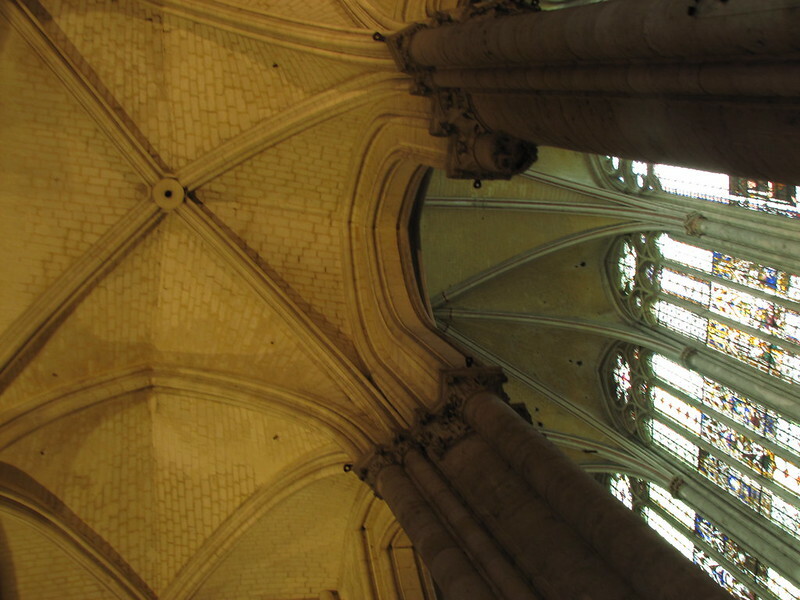 In 1284, part of the stone vaulting above the choir collapsed. Thanks in part to this confidence-rattling reminder of the limitations in gravity, progress slowed. Also contributing to the slowdown was the trifecta of disasters that struck Western Europe during the 14th and into the 15th century: First the Great Famine of 1315-1317; then the Black Death, and finally, the attritional Hundred Years’ War. 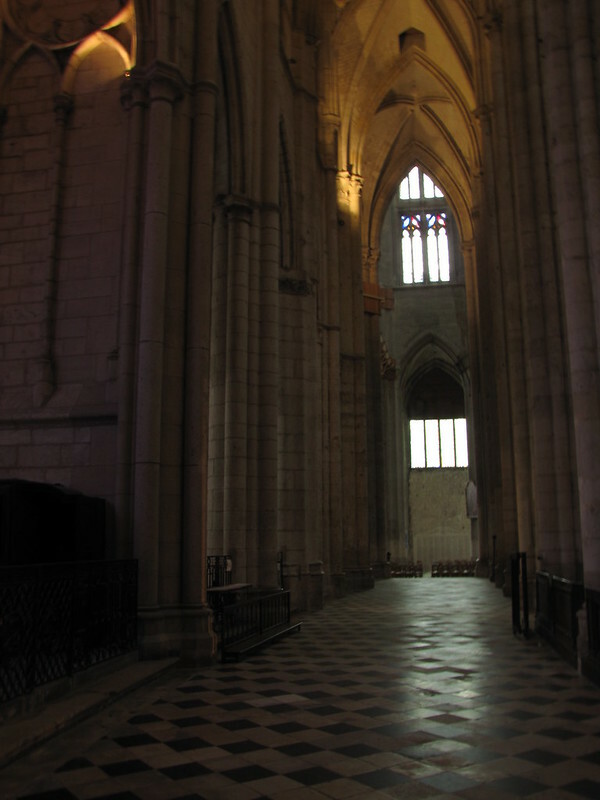 The choir was repaired, and eventually transepts were added on during the first half of the 16th century, and a central tower was built on simultaneously. Disaster struck again in 1573, and the central tower, measuring 153 m (502 ft) in height, collapsed and was never rebuilt. 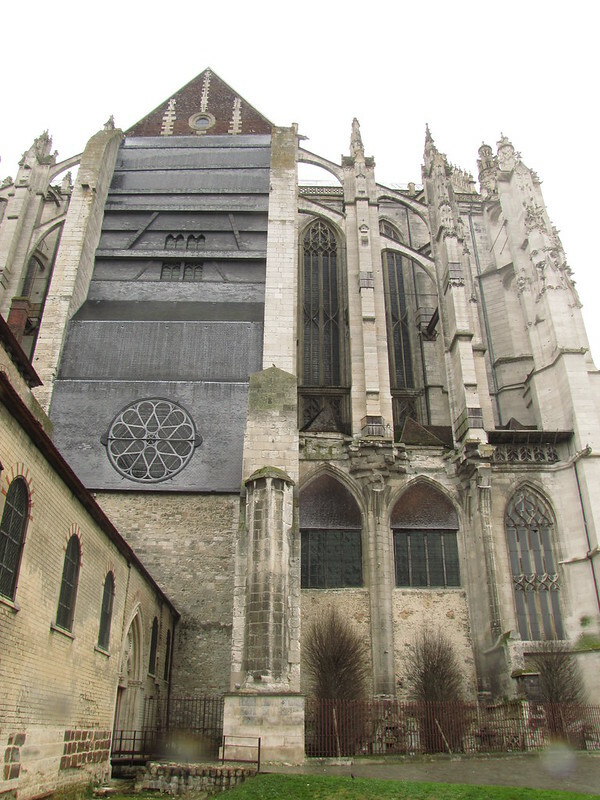 It took a solid four hundred years for the builders at Beauvais to shrug their shoulders and acknowledge the limitations of building an edifice on this grand scale out of nothing more than stone and mortar. When I came here on a rainy day in late March, the cathedral, dedicated to Saint Peter, was mostly empty. Nowadays, Beauvais is most notable not for its cathedral but because of its airport, which Ryanair and other budget carriers fly into, and most passengers arriving here shuttle straight off to Paris without a moment’s thought to this monument of Gothic grandeur that makes Notre Dame de Paris look average-sized. 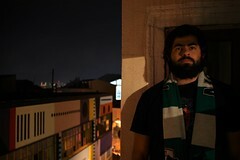 In fact, the only reason that the building even stands is because of the numerous steel rods that keep the frame together, and the wooden braces that prevent the arcades from crashing into each other like oversized dominoes. And for all its regal proportions, its elongated vaults, and elegant chevet, it can barely even be called an afterthought. I wonder, if I could go back to the year 1225 and explain to Msgr. Milo how virtually no one outside of France would even know his construction existed, if he would press stubbornly onward with the creation of this mute giant. I think he would–and claim, as his cohorts did, that it was God’s will to keep building skyward. 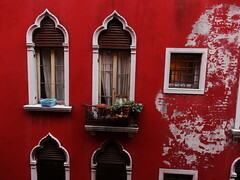 Posted in GothicTagged art, art history, France, Gothic architecture, humanity, Medieval, travelBookmark the permalink. It’s true – I had never heard of this place. I think if I saw it, though, I’d be drawn to it to look inside. I love these old Gothic cathedrals, even if they were just massive costly prestige projects.